Hooray! Today, the Hubble Telescope celebrates its 25 anniversary! And what a celebration it should be, and is. The New York times posted an article today that features astronomers and others involved in Hubble’s history what their favorite photo is. The giant elliptical galaxy in the center of this image, taken by NASA’s Hubble Space Telescope, is the most massive and brightest member of the galaxy cluster Abell 2261. Spanning a little more than one million light-years, the galaxy is about 10 times the diameter of our Milky Way galaxy. The bloated galaxy is a member of an unusual class of galaxies with a diffuse core filled with a fog of starlight. Normally, astronomers would expect to see a concentrated peak of light around a central black hole. The Hubble observations revealed that the galaxy’s puffy core, measuring about 10,000 light-years, is the largest yet seen. Astronomers used Hubble’s Advanced Camera for Surveys and Wide Field Camera 3 to measure the amount of starlight across the galaxy, dubbed A2261-BCG. 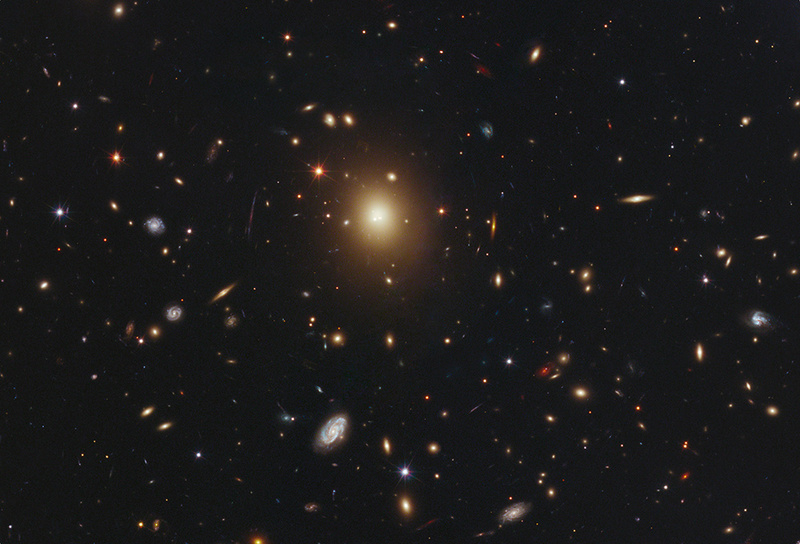 Abell 2261 is located three billion light-years away. But what do I find so fascinating about it? Click on the above link for larger files of the above photo. Take a look. It’s an amazing assortment of galaxies – tons of them! And they’re beautiful, so beautiful, gems each and every one. This literally took my breath away. Not only are those galaxies millions of light years away, their light comes to us from millions of years ago. What we see no longer is, and who knows what’s taken its place, if anything at all. Within each of those galaxies floating in the universe are worlds utterly unknown to us. We can fantasize and dream about life on another planet in another galaxy, but the truth is a bit elusive at the moment. 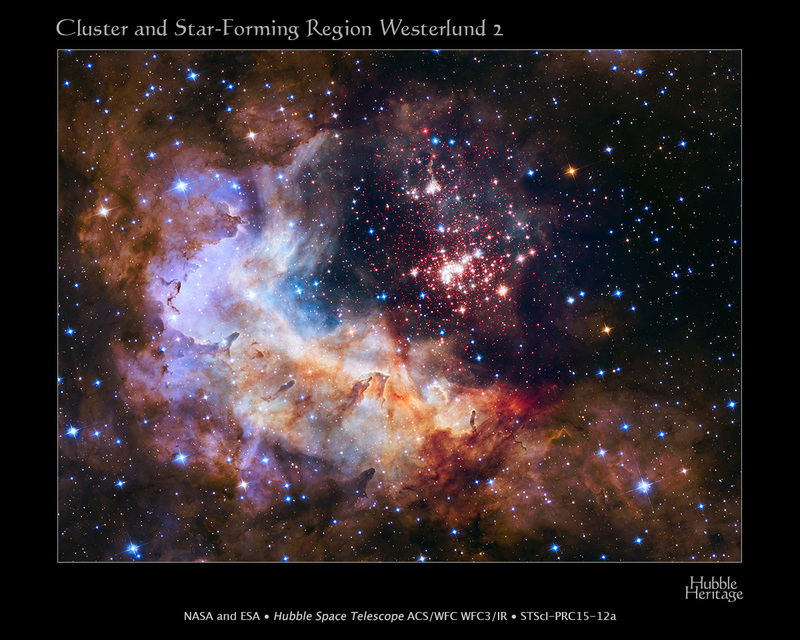 Still, we can regard them for what the Hubble brings to us – a beautiful perspective of the universe and its imagery. If you find yourself a bit bored, sad or otherwise challenged by the rigors of this world, click on the Hubble Telescope site. Explore its pages. Allow yourself to dream and be awed at this portal on the magnificence of nature.